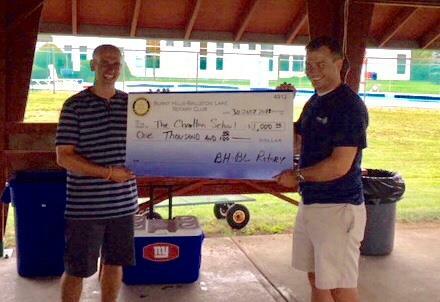 A big thank you to Burnt Hills Ballston Lake Rotary for their generous contribution! They hold a meeting in our pavilion every summer and we are always happy to share our campus with this club. A special thanks to the rotary members that have been volunteering in the pollinator circle this summer, working alongside students to create a beautiful habitat for these vital creatures.